I love sweet potatoes. I love them on their own (whenever I'm with the kids on an airplane they make the perfect meal), I love them mashed in Orange Cups, I love using them to make muffins and biscuits. The list doesn't end there. They're amazing in for Po-Tacos, sliced thin for chips, in enchiladas, in Sweet Potato Cakes, as Cinnamon Sweet Potato Fries and, as this Sweet Potato Pancakes Video will show you, you can even turn them into a treat for breakfast! Sweet potatoes are not only a superfood, they're also inexpensive (aka easy on your weekly food budget). Whenever I make them I always bake a few extras to keep in the fridge for a snack or to turn into recipes like these Sweet Potato Pancakes. Speaking of extras, I also make extra pancakes to freeze for later or spread with cream cheese and honey to make pancakes sandwiches for school lunch. If you have toddlers or new eaters these are a great choice for those who are teething and ideal for little hands to hold. However no matter your age or the occasion, these pancakes are a delicious, good-for-you dish. Watch this Sweet Potato Pancakes to get everyone in on the act making and eating these yummy pancakes! What do you do for taking sweet potatoes on the plane? can you wheat flour with oat flour? I've never tried it, but I feel like it would work great. Meant can you sub oat flour for wheat flour? 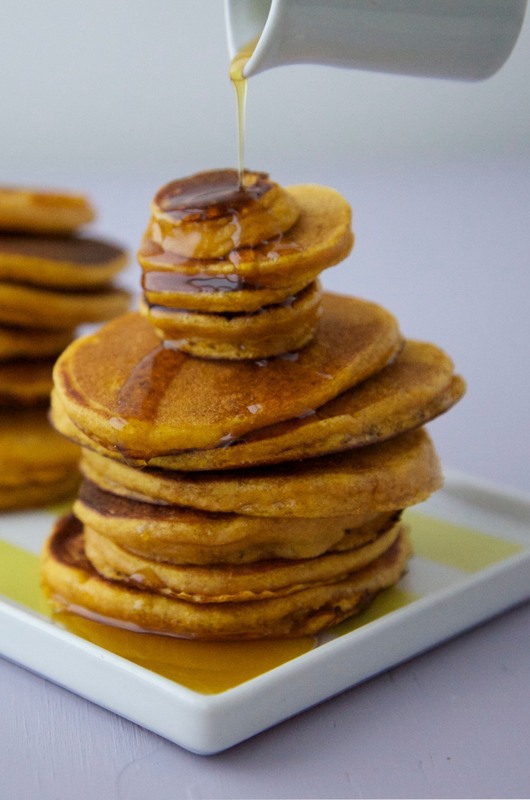 I love sweet potatoes too and these pancakes look perfect for my kids to make. Thanks for posting a video for them to watch! Yeah! I hope they like it. Let me know! Pancakes look delicious. Can't wait to try them. On a different note what griddle do you use? I'd like to buy one but I can't decide which one. Thanks. Love to make healthy food for my baby.